Wärtsilä, the marine industry's leading solutions and services provider, has been contracted to supply propulsion packages for 24 new vessels being built for the Singapore based China Navigation Co. Pte. Ltd (CNCo). The ships are being built at the Chengxi and Zhejiang Ouhua shipyards in China, and the contracts were signed with Wärtsilä licensee Hudong Heavy Machinery (HHM) in 2012 and during the first half of this year. All vessels will be fitted with electronically controlled Wärtsilä two-stroke common-rail main engine systems, Wärtsilä Fixed Pitch Propellers (FPP) as well as Wärtsilä Seals and Bearings. The first Wärtsilä deliveries have already been made, with the remainder to follow in line with the building schedules. The new ships comprise four Chief Class Multi Purpose Vessels (MPV), with an option for an additional four, as well as eight S-Class MPVs, all designed by Neptune Shipdesign, Rostock Germany. Both vessel types are to be equipped with Wärtsilä RT-flex58T, version D engines. The S-Class vessels have a six-cylinder configuration, while the Chief Class vessels are designed with five cylinders, and both vessel types are being built at the Zhejiang Ouhua shipyard. 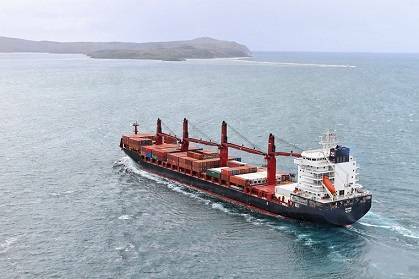 The Chief Class and S-Class geared MPVs will operate in CNCo's Pacific Liner trades. They are all designed to carry containers, general cargo, project cargo, steel, timber, agricultural products and dry bulk cargo. In March, the first vessel of the S-Class series, the MV Shansi, was successfully delivered from the Ouhua yard followed by MV Shantung in June and MV Shaoshing in July. The remainder of the Wärtsilä order comprises 12 W-Class Handysized bulk carriers, plus eight options, based on the popular B.Delta37 design by Deltamarin from Finland. 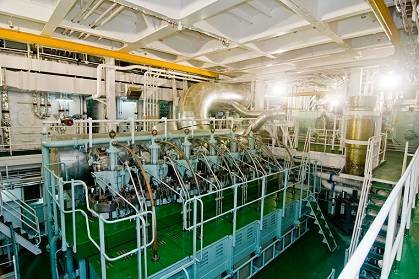 The vessels will all be built at the Chengxi shipyard and are all equipped with Wärtsilä RT-flex50, version B main engines. The W-Class Bulk Carriers, which are also equipped with cranes to increase their cargo handling capabilities, will be trading worldwide in CNCo's Swire Bulk dry bulk division. The first vessel MV Wuchang was launched on June 5 and will be delivered in early September 2013. S-Class eight x 31K Multi Purpose Vessels: Length Overall (LOA) 199 m, beam 28.2 m and depth 15.5 m.
Chief Class: 4 x 22.1K Multi Purpose Vessels, LOA 175.1 m, main engine 5RT-flex58T version D rated at 10,000 kw at 105 rpm and able to carry 22,000 dwt on a 9.5 m draft at a design speed of 15.5 kts with tip speed of 17.5 kts fully laden.